for $235,000 with 3 bedrooms and 3 full baths. This 2,109 square foot home was built in 1995 on a lot size of 2.200 Acre(s). COUNTRY LIVING - YET CONVENIENT TO EVERYTHING!! 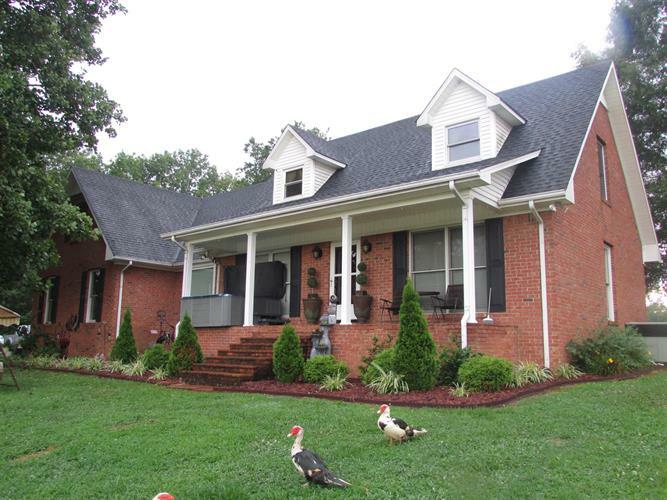 THIS BRICK 2 STORY IS ON 2.20 ACRES W/HUGE POND (STOCKED); MASTER BEDROOM SUITE ON MAIN, 2 LARGE BEDROOMS UP W/JACK & JILL BATH; DREAM KITCHEN, BEAUTIFULLY DECORATED, 2 CAR GARAGE, INGROUND POOL & SPLASH PAD, FULL BATH IN GARAGE CONVENIENT TO POOL AREA, FENCED, LOTS OF PRIVACY, COME SEE TODAY!